Whether it’s the flip of a light switch or plugging in your cell phone to charge – never has the reliability of our energy supply been more important to so much in our daily lives. That also means never has energy infrastructure been a greater potential target for an attack. It is indisputable that ensuring the reliable and uninterrupted supply of fuels and electricity is absolutely essential to our nation’s economy, security, and the health and safety of its citizens. However, as our energy infrastructure has become more complex and society has grown more dependent on this infrastructure, safeguarding it has become particularly challenging. Recently reported high-profile attempts by foreign nations to infiltrate our nation’s energy sector, as well as a devastating year for natural disasters in 2017, highlight the need for preparing for and mitigating these real and growing threats. The security and reliability of our energy supply must be at the top of Washington’s agenda, or we could face serious costly and life-threatening consequences. Since its inception, the Department of Energy (DOE) has performed a vital energy security mission to ensure the supply and delivery of fuels and power in emergencies. Over time, DOE has developed the information tools and technical capacity to respond to emergencies and develop advanced technologies to protect the nation’s energy infrastructure, especially against cyber threats. In recent years, Congress reemphasized DOE’s responsibility to respond to both physical and digital threats against our energy systems through the passage of the FAST Act of 2015. Of course, for DOE to effectively carry out its responsibilities, it must account for each interrelated segment of the nation’s energy infrastructure, including pipelines, which are subject to an array of other federal authorities. This is why I introduced the Pipeline and LNG Facility Cybersecurity Preparedness Act to address this issue. This legislation requires the Secretary of Energy to establish a program to improve cooperation between federal agencies, states, and industry in order to ensure the safe and dependable flow of energy across the United States. This will help boost both the physical resiliency and cybersecurity of energy pipelines and liquefied natural gas facilities. The threat of damage from a disaster or an attack on our energy infrastructure is no longer a matter of “if,” but “when.” Congress must act swiftly to provide DOE with the tools it needs to enhance preparedness and protections of our energy systems. It is time to enact legislation that confronts these threats and improves the resiliency and reliability of our nation’s energy infrastructure. 1) With our nation's increasing dependence upon natural gas, this bipartisan legislation is more important than ever. What are the potential ramifications of an attack on our LNG infrastructure? 2) What are the key factors that the Secretary of Energy should consider? 3) What other steps can federal and state policymakers take to address threats to our energy infrastructure? While the federal government should step up efforts to protect our energy infrastructure (and our elections) from foreign interference, the biggest threat to our nation’s economy, security, and the health and safety of its citizens is climate change. On the emissions path we are on, it likely that the bottom third of Florida (and most coastal cities) will not exist next century and there is a serious risk whether the United States will remain a functioning, democratic nation if temperatures rise much beyond +2ºC (as is expected around 2050). So, to truly protect our great nation, the government should immediately implement a fee on the carbon content of fossil fuels and begin phasing out the use of natural gas. While a natural gas power plant emits about half of the CO2 of a coal plant per kWh generated, with fugitive emissions from the exploration, extraction, and transport of natural gas, natural gas’ global warming footprint is about as bad as coal’s. And LNG is worse because a lot of energy goes into compressing and cooling the gas. The path to protect our country is clear and it is up to our elected leaders to take immediate steps to protect our nation and its citizens. I recently heard that many of the nation’s pipelines are in the California area cross over the famous San Andreas fault. If this is correct, then one needs to estimate the impact on these pipelines due to a major earthquake in that area. Secondly, one should consider using more nuclear power plants to produce electricity instead of new gas plants. Not only would there be a huge benefit from eliminating a major source of greenhouse gases, nuclear plants are fairly immune to the effects of large natural disasters such as earthquakes, hurricanes, and tornadoes as proven by actual events such as the greater than magnitude 9 earthquake that struck Japan causing the Fukushima accident. The Fukushima accident was caused by a towering tsunami that damaged a critical emergency control panel, not by the earthquake itself. All the safety equipment at Fukushima, including the containment buildings, survived the earthquake. The emergency diesels at Fukushima supplied electric power ran for about a half hour until the tsunami struck. Over 50 other nuclear power plants within Japan also exhibited no damage to their containment buildings or their emergency safety features, like their emergency electric diesels, from this greater than magnitude 9 earthquake. Nuclear plants have their energy stored in the uranium in their fuel, up to two years worth. As such, these plants do not depend upon a gas pipeline infrastructure or a coal train infrastructure to continue producing electricity. The robust structure of the nuclear plants makes them hardened targets against terrorist attacks. This, plus on-site security forces and equipment, makes these plants a very poor choice for terrorist attacks. As for cyber attacks, many steps have been taken to keep these plants safe. For example, if somehow, a cyber attack caused a pipe to fail, the loss of water from the reactor cooling system, by the plant’s basic physics design, would cause the plant to immediately shut down without requiring any actions by the plant operators or any automatic actions by the safety equipment. Finally, actual accidents plus advanced computer reactor accident analysis programs show that even if all active safety equipment failed during a reactor meltdown, natural chemical and physical forces (and possibly safety features that do not require electric power or operator actions) significantly limit the release of any radioactive material to the environment. The expected release of radioactive material into the environment would be limited to a few percents of the reactor’s inventory of radioactive material. Such a limited release would not be capable of causing any near-term radiation fatalities or radiation sickness. Long-term effects, if any, would be too small to be detectable statistically. These statements are fully consistent with the conclusions reached by the World Health Organization and by our National Academy of Sciences in their review of the Fukushima accident. •	Burning natural gas doesn’t emit many of the air pollutants emitted by burning coal and creates CO2 emissions when it is burned at a rate 50% lower than statementcoal. •	methane’s contribution to climate change while the gas is in our atmosphere is 85 times more climate destructive than CO2 emissions. So no, our once increasing reliance on gas is no longer increasing. You ask about protecting LNG, or export market gas, infrastructure. Because of slow growth in domestic gas demand, exports by pipeline to Mexico and Liquefied Natural Gas (LNG) exports to the rest of the world are expected to account for 70-80% of new gas demand for at least the next five years. How about a Climate Change Adaption Road Map like the military’, but from Congress? There is a presumption in some comments that the infrastructure issue should be based on expanding renewables and suppression of natural gas because it is finite and fossil fuels are causing a serious climate change problem. Those assumptions do not withstand close scrutiny nor does the assumption that protective measures need to be driven by DOE. First, renewables have been around a long time and receiving subsidies for decades. It is time that all sources of energy compete on a level playing field. Second, as the American Enterprise Institute has shown the US is leading the world in CO2 emission reductions without using a carbon tax scam. Third, there is enough conventional and unconventional natural gas to sustain our use for the rest of this century. The notion that fracking is a money losing proposition long term defies common sense. Why would investors knowingly spend into bankruptcy. Threats to our infrastructure system are real and serious. The Federal Government should set standards, monitor performance and sponsor R&D. The primary responsibility for protection belongs with companies and they have the strongest incentive to perform. It is surprising that anyone in this day and age would claim that the use of fossil fuels does not cause a serious climate change problem. Every major scientific academy in the world disagrees with that. Dan, we have been down this road before. The analogy that comes to mind is that if your only tool is a hammer, every problem is a nail. Your assertions are a perfect example of confirmation bias. Please provide a list of “every scientific academy in the world” that disagrees with my comment. Secondary sources don’t count. Also, please cite the sources that definitively distinguish the fossil fuel effect from natural variability and define the serious problem that is being caused by fossil fuel use. Your citation to the national academies link could not be opened. Unless it is a summary of every national academy in the world, you have not been responsive. Your citation of the IPCC makes my point since it cites a range for climate sensitivity where the low end is not much different than what we have experienced since the end of the Little Ice Age. The concentrations of CO2 are not unprecedented for two reasons. First, they were this high during the medieval climate optimum were at least as high or higher. Second, if you look at reconstructions going back 3 million years, you will see that your statement about unprecedented is total nonsense. And, you are the last person I would ever want to educate me. You like to talk about climate sensitivity, as if the uncertainly range in that parameter somehow makes us safe against the impacts of climate change. It doesn’t. And it is simply not true that the global atmospheric CO2 concentration was as high as it now during the so-called Medieval Warming Period. If you can cite some peer-reviewed literature on that, please provide it. I didn’t mention 3 million years, you did. The IPCC quote I gave said the atmospheric GHG concentration is “unprecedented in at least the last 800,000 years.” That, by the way, includes the Medieval Warming Period you mention. This will be my last comment on your silly assertions. To claim that there are only 11 major national academies with Brazil being one is just foolish. More important, I doubt that you have seriously studied the statement or understand it. For your information, there is much in it that I agree with and much in it that agrees with points I have made to you over and over. You are simply wrong on your repeated assertion about the historical record, including the medieval warm period. Bill: You claimed that the presumption that “fossil fuels are causing a serious climate change problem” does “not withstand close scrutiny”. When I pointed out that the collective scientific community disagrees with you, you argue about the number of national academies that say you’re wrong and dis Brazil in the process! And you totally ignore the collective climate science community in the form of the IPCC reports. It must be hard to argue against anthropogenic global warming when it’s already here. Dan, one of the reasons for my participating is to see how you will distort me, claim that I said things that I never did, and ignore what I did say. You are a piece of work! Bill: I quoted you about fossil fuels and climate change! You then argued about the low end of climate sensitivity again (even though there is only a small chance the real value will be at the low end since the climate sensitivity probability distribution resembles a bell curve weighted towards higher values). You also brought up the Medieval Warm Period as some justification that we don’t need to worry much about climate change. You also challenged me on the number of scientific academies that signed the joint statement on global warming. I don’t think I misquoted you, but please feel free to correct. Better yet, if your quote doesn’t reflect your true opinion about climate change, why don’t you just state that clearly? I certainly get the feeling from your posts that you don’t think that climate change poses a serious threat to our nation and the world. Dan, I don’t think that you have ever quoted me correctly because you have your mind made up about what I believe. I have never said that we don’t have to worry about climate change or that CO2 and the consumption of fossil fuels do not contribute to warming. The major differences between us is that you believe the models; I don’t. You believe that human activities are the major driver of climate change and warming; I don’t. In terms of historical comparisons you ignore measurement error bars which are greater the further you go back in time. Using a point estimate for the Medieval Warm Period is at best bad analysis and at worse disingenuous. Bill: Again, I was quoting you. You said that the presumption that “fossil fuels are causing a serious climate change problem” does “not withstand close scrutiny.” You don’t say that climate change won’t be a problem or that CO2 doesn’t cause warming, but you do say that fossil fuels won’t cause a serious climate change problem. That is already false. But let’s look at your new statements. You said: “The major differences between us is that you believe the models; I don’t. You believe that human activities are the major driver of climate change and warming; I don’t.” You are correct in that I do believe in (actually, “accept”) climate models. I also accept measured temperature data, paleo climate records, and the many other lines of evidence that inform climate science. Climate models have been quite accurate (including Jim Hansen’s 1981 model) and when they are wrong, they tend to underestimate the speed and extent of climate impacts (like the prediction that the Arctic sea will be ice free around 2080… the actual date will be about 50 years earlier). And note that scientific models are never correct, but they are useful. We used models to land on the Moon and we are using them now to predict that Hurricane Florence will impact the coast of the Carolinas tomorrow. You are also correct that I accept that humans are the major driver of climate change. Here, again, I point out that all the major scientific academies agree with that and say you are wrong. If you have an alternative theory about what is warming the planet, you should publish your work! To continue quoting you, you wrote a piece for The Hill in 2015 where you said: “The belief that carbon dioxide emissions lead to climate change has become an article of faith even though it is contradicted by climate history, physics and the pause in warming that began in 1998.” Contrary to your comments above, you do seem to be dismissing the role of CO2 emissions in climate change. Also, global temperatures are at record highs and the pause you referred to never actually occurred. While there will always be some uncertainty and doubt about any scientific subject, including climate change, based on what we know, we should be taking urgent action to reduce fossil fuel emissions now. Overemphasizing the uncertainty and doubt has and will delay action on climate change and puts our nation and our children at risk. There is so much wrong in what you say about models, the pause, and what I believe. You excel in distortion. Here is what Carl Wunsch–hardly a denier–has to say about people like you. 1. Tremendous self confidence, leading to a sense of entitlement and of belonging to an elite community of experts. 2. An unusually monolithic community, with a strong sense of consensus, whether driven by the evidence or not, and an unusual uniformity of views on open questions. These views seem related to the existence of a hierarchical structure in which the ideas of a few leaders dictate the viewpoint, strategy, and direction of the field. 3. In some cases a sense of identification with the group, akin to identification with a religious faith or political platform. 4. A strong sense of the boundary between the group and other experts. 5. A disregard for and disinterest in the ideas, opinions, and work of experts who are not part of the group, and a preference for talking only with other members of the community. 6. A tendency to interpret evidence optimistically, to believe exaggerated or incorrect statements of results and to disregard the possibility that the theory might be wrong. This is coupled with a tendency to believe results are true because they are ’widely believed,’ even if one has not checked (or even seen) the proof oneself. 7. A lack of appreciation for the extent to which a research program ought to involve risk. Smolin (2006) was writing about string theory in physics. Nonetheless, observers of the paleoclimate scene might recognize some common characteristics. Smolin’s (7) is perhaps the most important in his list. Good scientists seek constantly to test the basic tenets of their field–not work hard to buttress them. Routine science usually adds a trifling piece of support to everyone’s assumptions. Exciting, novel, important, science examines the basic underpinnings of those assumptions and either reports no conflict or, the contrary–that maybe it isn’t true. Imagine Darwin working hard to fit all of his observational data into the framework of Genesis (today we laugh at the so-called intelligent design community for doing just that). As both human beings and scientists, we always hope for explanations of the world that are conceptually simple yet with important predictive skills (in the wide sense of that term). Thus the strong desire that box models should explain climate change, or that simple orbital kinematics can explain the glacial cycles, or that climate change is periodic, is understandable. But some natural phenomena are intrinsically complex and attempts to represent them in over- simplified fashion are disastrous. The pitfall, which has not always been avoided, is in claiming–because an essential element has been understood–that it necessarily explains what is seen in nature. Extension of a simplified description or explanation outside of its domain of applicability is of little or no concern to anyone outside the academic community–unless it begins to control observational strategies or be used to make predictions about future behavior under disturbed conditions. [General circulation] models now dominate discussions of the behavior of the climate system. As with future climate, where no data exist at all, the models promise descriptions of climate change–past and future–without the painful necessity of obtaining supporting observations. The apparent weight given to model behavior in discussions of paleoclimate arises, also, sometimes simply because they are “sophisticated” and difficult to understand, as well as appearing to substitute for missing data. That models are incomplete representations of reality is their great power. But they should never be mistaken for the real world. If a model fails to replicate the climate system over a few decades, the assumption that it is therefore skillful over thousands or millions of years is a non sequitur. Models have thousands of tunable parameters and the ability to make them behave “reasonably” over long time intervals is not in doubt. That error estimates are not easy to make does not mean they are not necessary for interpretation and use of model extrapolations. Some of the published exaggeration of the degree of understanding, and of over-simplification is best understood as a combination of human psychology and the pressures of fund-raising. Anyone who has struggled for several years to make sense of a complicated data set, only to conclude that “the data proved inadequate for this purpose” is in a quandary. Publishing such an inference would be very difficult, and few would notice if it were published. As the outcome of a funded grant, it is at best disappointing and at worst a calamity for a renewal or promotion. A parallel problem would emerge from a model calculation that produced no “exciting” new behavior. Thus the temptation to over-interpret the data set is a very powerful one. Similarly, if the inference is that the data are best rationalized as an interaction of many factors of comparable amplitude described through the temporal and spatial evolution of a complicated fluid model, the story does not lend itself to a one-sentence, intriguing, explanation (“carbon dioxide was trapped in the abyssal ocean for thousands of years;” “millennial variability is con- trolled by solar variations”; “climate change is a bipolar seesaw”), and the near-impossibility of publishing in the near-tabloid science media (Science, Nature) with their consequent press conferences and celebrity. Amplifying this tendency is the relentlessly increasing use by ignorant or lazy administrators and promotion committees of supposed “objective” measures of scientific quality such as publication rates, citation frequencies, and impact factors. The pressures for “exciting” results, over-simplified stories, and notoriety, are evident throughout the climate and paleoclimate literature. The price being paid is not a small one. Often important technical details are omitted, and alternative hypotheses arbitrarily suppressed in the interests of telling a simple story. Some of these papers would not pass peer-review in the more conventional professional journals, but lend themselves to headlines and simplistic stories written by non-scientist media people. In the long-term, this tabloid-like publication cannot be good for the science–which developed peer review in specialized journals over many decades beginning in the 17th Century–for very good reasons. Bill: So, when I quote you verbatim, I am still misquoting you? Since I only claim to accept the conclusions of the climate science community, your reference (via Judith Curry!) is actually an attempted take-down of climate science (and science in general). Your claims of MWP, climate sensitivity, model accuracy, etc. have all been examined scientifically and found wanting. If you really think there is an alternative theory for the warming we measure (or if you think the warming has paused), you should publish your work in a peer-reviewed scientific journal and share your knowledge with the world. Dan, what I included in the Curry piece, as I clearly stated, was from Carl Wunsch who as I am sure you know is one of the world’s leading oceanographers. His comments on models, for example, reinforces my views on their uses and limitations. There is enough conventional and unconventional natural gas to sustain our use for the rest of this century. The notion that fracking is a money losing proposition long term defies common sense. Why would investors knowingly spend into bankruptcy. The reason appears to be Wall Street hype, extremely low interest rates and financial fees, and bad statistics from the EIA. From something else I put together. You might want to check the citations. Regarding the “level playing field.” I agree. Does that mean you are willing to give up the $20billion the fossil industries get in tax expenditures, subsidies and off loaded expenses? Some have been around for 100+ years and were meant to aid the start up of the oil industry in PA. And what about those off loaded costs like toxic coal ash pit, air and water pollution? A Harvard MD’s study calculated that the real cost of coal-fired electricity was under priced by between 9-27 cents per KW/hr in 2008 numbers. I’m not sure where your numbers come from but if you look at Table 3 in EIA’s latest report on subsidies–subsidy.pdf– you will see that renewables get the most and oil and gas have negative subsidies. I am in favor of treating all energy sources the same way and eliminating actual subsidies, which tax deductions aren’t if they apply to all businesses. “This study finds that U.S. federal and state governments are funneling more than $20 billion each year to the oil, gas, and coal industries to support exploration, development, and production of fossil fuels.” And they delineate the specifics. Included in that is the fire sale prices for leases on government lands. You will be surprised! You can rely on numbers generated by an advocacy organization but I believe that EIA is one of the most credible sources. Some of the statements in price of oil report reflect a lack of understanding of the tax system and leasing process. The problem that I have is that some of the numbers cited in the first article include what are considered standard business deductions. Intangible drilling costs cover normal business expenses for example. When I have more time, I will send a more detailed critique. The bottom line remains that renewable subsidies far exceed what EIA classifies as subsidies for oil and gas and I favor even treatment for all energy sources and all businesses. Government doesn’t do a good job when it puts its thumb on the scale. Before you go further … I and most other analysis disagree with you. Here is one: “60 Years of Energy Incentives … Analysis of Federal Expenditures for Energy Development” October 2011 By Management Information Services, Inc. Washington, D.C. They consider Tax policy is a form of incentive ..,. and in this study it makes up 47% of all federal incentives for energy … renewable and fossil. I think that we have taken this as far as possible and will never reach agreement or common ground. You continue to cite private analyses and dismiss government ones that don’t agree with your priors. CBO in addition to EIA did an analysis that showed $17.3 B in 2016 with only $2.8 being for oil and gas and the largest percentage being for renewables. The study you just cited has two glaring errors. The oil industry does not receive percentage depletion. That is limited to marginal producing wells. Major oil companies lost depletion in the 1970s. Intangible drilling costs deductions are no different that operating expenses of businesses which are deductible for income tax purposes. As I have said more than once, I favor a tax system that provides a level playing field for all companies and a tax system that is designed to raise revenue fairly to support the operation of the government. Tax policy that drives industrial policy is wasteful and inefficient. So, let’s agree to disagree and get on with our lives. That timing can in no way be called a “normal operating deduction”. With that correction … I too am willing to close this discussion. While it makes sense for the federal government to help coordinate actions to respond to physical and cyber threats on the nation’s energy infrastructure, I agree with Dan Miller that the far greater threat to the United States and to the world is climate change. Huge economic costs, massive dislocations of people, and the livability of the planet are at stake in the latter part of this century and beyond if the global warming problem is not properly addressed beginning as soon as possible. The effects we are already seeing from severe hurricanes, wildfires, and heat waves exacerbated by global warming are far greater than the effects from any attacks that have occurred on our energy infrastructures. 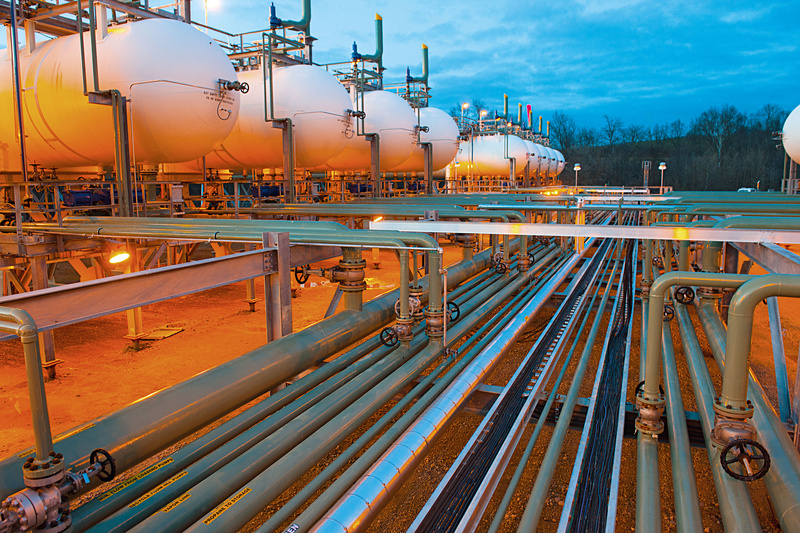 The security of our electric power grid, natural gas pipelines, and LNG export terminals is primarily the responsibility of the private sector that operate these facilities. In contrast, the halting of global warming can only be addressed if governments around the world require greenhouse gas emissions be reduced towards zero by mid-century and develop national strategic plans to achieve this in the most effective manner. I think Congress putting its priority on protecting LNG export terminals that have dubious climate and economic benefits while ignoring the major complex steps that need to be taken to address the global warming problem is putting national/global security at serious risk. I hope Congress will reconsider its energy priorities since strong political leadership is needed to safeguard the environment and create a sustainable economic development path for our children, grandchildren, and future generations. Many thanks for taking the time to instigate this discussion on OEP and indeed for introducing your important legislation. It is a little disappointing that the discussion so far has largely degenerated into two camps: those who think natural gas will remain an essential part of the energy mix for the foreseeable future; and those who wish it would not, and who therefore suggest that we should avoid doing anything which risks perpetuating NG use and preservation. One does not have to minimize the risk of climate change to also recognize the current and future cyber risk as it relates to our infrastructure. Whether we like it or not, natural gas is here to stay, at least for the short to medium term, and US NG exports have also begun and will increase. We can, of course, debate the pros and cons of U.S. tight gas production and use, but it is a significant reality and, like other critical infrastructure, should be protected. Chairman Upton’s legislation is a sensible way to recognize the changing realities of the US energy mix and to ensure the Energy Department has the requisite powers to coordinate and manage our cyber defenses. Let’s not allow our differences over the relative prioritization of climate risk management to get in the way of sensible modernization of the law on cyber attacks. Bills such as this deserve support from both political parties, including from those of us who take climate change seriously. The issues raised are whether the effort put into protecting NG infrastructure would be better placed addressing a much more serious threat to our national security. Many of the people calling for protection of NG infrastructure are ignoring the threat of climate change, a far more serious and long term problem. And life-cycle NG use is about as bad as coal when it comes to climate change and LNG is worse. An additional point made above is that LNG is not a national security issue, it is a commercial risk issue. LNG is used for exporting. It is not for internal use. The most serious threat to energy security is the pseudoscientific nature of the global warming models that are used in the establishment of federal and state energy policies. Much of the faulty research is funded by federal agencies, including the Energy Department. This research is incompetently managed by the government and extremely wasteful of the taxpayers’ money. This mistake has an understandable cause and readily available corrective. The cause is the absence of the statistical populations underlying the models; for the lack of these statistical populations the models lack empirical support. The corrective is to place a statistical population beneath each such model and then to attempt to cross validate this model. To make this attempt would probably reveal that major changes are required in the models as they provide a regulatory agency like the EPA with little or no information about the outcomes of the events of the future for the Earth and its atmosphere. With competent management, better models could be produced at much lower cost to the taxpayers. This does not make much sense. You should write objections to the thousands of published peer-reviewed scientific papers on climate change that are supposedly missing the statistical populations you are referring to. If you were somehow correct, the climate models would not provide the predictive value that they do. In any case, you can also ignore models. Jim Hansen et al has published papers based only on measured temperature data from the past 60 years. It shows that 3-sigma “Extremely Hot Summers” that occurred about once every 500 years in the 1950-1981 baseline, now occur more often than once every 10 years. That 5000% increase is not a model or a prediction. It already happened. In about 50 years. Your understanding is mistaken but your mistake is understandable in view of past applications of the equivocation fallacy by the UN-IPCC and others in making global warming arguments. Details are available in the article at http://wmbriggs.com/post/7923/.